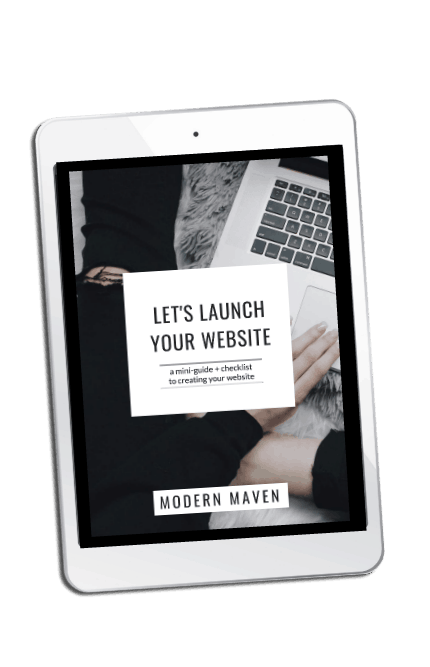 Modern Maven is a creative web design studio. LET’S CREATE COOL SH*T, COLLAB & AMPLIFY YOUR ONLINE CASTLE. When I’m not designing websites, you can find me making questionable life choices, exploring the world with my main man and little babe, trawling Insta and sampling the best pasta around town. I also like to drop the f* word frequently. Stick with me, senorita. I promise I’ll give you my best advice, swear plenty, and never, ever, EVER use the S word. You know the one: spiritual. Hold my hand and I’ll teach you all about domain names, web hosting, themes and launching your site into the web wilderness. 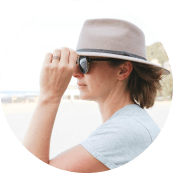 "Brooke from MODERN MAVEN recently completed a new website for our architectural and design firm, Mckimm, and she did an absolutely incredible job. Not only was the entire process with Brooke seamless, but she went above and beyond to deliver the project well ahead of schedule and had no hesitation answering any questions we had." "Brooke is a super talented designer with a work ethic second to none. Her communication is professional without the dull, which makes her a delight to deal with. As a stylist, our website is all about the visual beauty, and Brooke just "gets it". Absolutely love our new website, it is exactly what I wanted plus more!" "Brooke is an amazing website designer / technical genius. 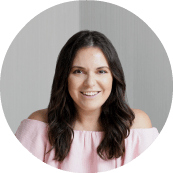 Incredibly knowledgeable, patient and creative, Brooke will guide you easily through the design process and answer any questions or concerns you might have along the way. Brooke’s most amazing talent is harnessing your ideas and business info and images into a beautiful stunning website." "Thank you so much for what you have created Brooke I know I wouldn’t have been the easiest of clients as I have little to no knowledge of the tech world but you have been incredibly patient and understanding. You are amazing at what you do and the website you have created for me is above and beyond what I ever imagined, so I would like to thank you so much for bringing it to life." "Brooke is professional, knowledgable and has a fantastic eye for design. I knew exactly what I was getting and in what timeframe. She was quick to share feedback and make adjustments as we discussed and progressed through design process. I can highly recommend her." "I honestly couldn't recommend Brooke enough. I get about 5 unsolicited emails a day about website designers. There are loads of them out there - how do you know if someone is any good? I can guarantee you, Brooke is everything you will need!"